Beyonce Shares a New Blue Ivy Photo! She's the newest pop princess in town, and she's already living up to her name by showing support for her superstar dad -- it's Blue Ivy Carter in the tiniest (and cutest) concert tee we've ever seen! 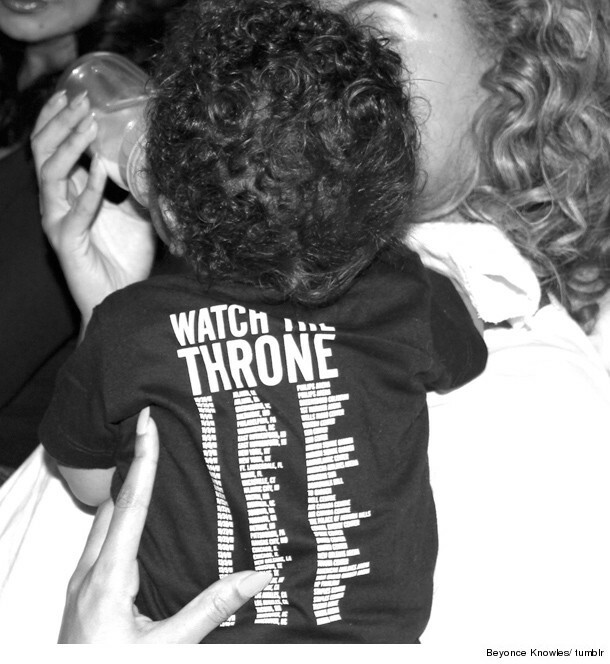 This pic, showing Beyonce holding 7-month-old daughter Blue, was just posted on Bey's tumblr page. The little girl's back is to the camera but we get a clear shot of her sweet duds -- a "Watch the Throne" concert t-shirt! "Watch the Throne," of course, is the collaboration of Mr. Kim Kardashian, err, we mean Kanye West, and Blue's proud papa, Jay-Z. At this rate, little Blue will be throwing up the Roc-A-Fella diamond hand sign before we know it! Click "Launch Gallery" below to see more shots your fave celebs have shared of their cute kids! Forbes Highest Paid Celebrity Couples -- Who's No. 1?